With the likes of Sir Robin Knox-Johnston and the sailing community supporting them, the campaign to reinstate sailing into the 2020 Paralympic Games surely can’t be ignored. 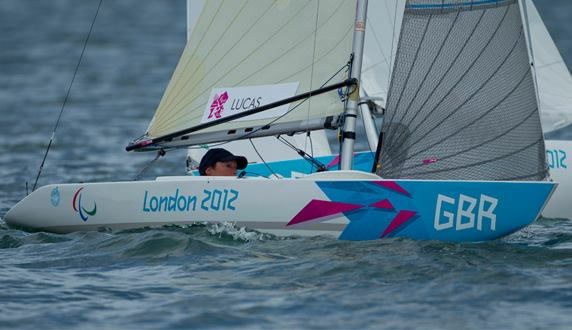 A campaign to reinstate sailing in the 2020 Paralympic Games has been gathering pace over the last few days. An online petition calling for the inclusion of sailing in the Games being held in Tokyo in 2020 has gathered just under 6,000 signatures since the petition was created on Saturday. On the 31st January 2015, the International Paralympic Committee announced the sports that would take place in the 2020 Tokyo Paralympic Games – sailing wasn’t one of them. Sailing is so widely participated in and offers such a physical, technical and tactical challenge. Team GBR won the first ever Paralympic Sailing Gold Medal in 1996 – it has been a lifeline to some people and it really should be in the Paralympic Games! The campaign was started by Isle of Wight resident Geoff Holt, who was involved in the team that helped get sailing introduced as a Paralympic sport in the 1996 Games in Atlanta. A Facebook page driving the social media campaign has attracted just under 7,000 likes and support from the likes of Sir Robin Knox-Johnston. Find out more and follow the campaign by visiting and Liking the page. 1 Comment on "Campaign to reinstate sailing in the 2020 Paralympic Games"
I am not a sailor,but,Sir Robin Knox Johnston gets my backing! Re-instate sailing for the disabled! Surely one countries cannot vote and suceed in removing a sport of such great benefit to the disabled.